The Docklands Business Forum is a volunteer association of business people and organisations committed to making the docklands a more profitable place to do business, a better place to live and a vibrant destination to visit. Steering Committee; Brian Smyth, Tim Darmody, Robert Colleran, Laura O’Donovan, Alan Robinson (Chief Executive Officer), Betty Ashe, John McElhinney, (Treasurer) Ciaran Flanagan (Chairman), Nicholas Cloake and Michael Noel Harte. Not included in this image are Sarah McCrory and John Treacy. 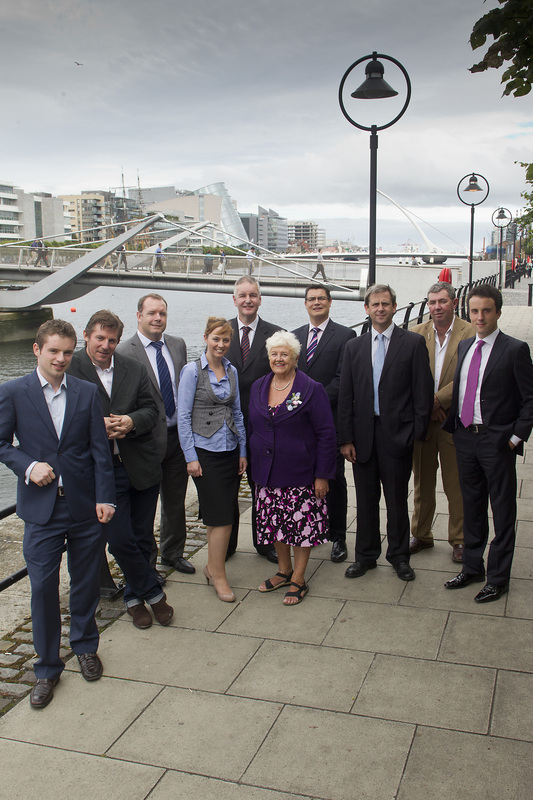 The Steering Committee is elected at the Docklands Business Forum AGM each year. Its role is to provide policy, governance and oversight for the Forum. It is a non executive committee and its members are not remunerated for their services on the Committee. Centre Block, Docklands Innovation Park, 128-130 East Wall Road, Dublin 3.